A day of remembering, reflection and resolve. Who were you supposed to be? Who have you become? What's next? Join Daniel for an intimate, transformative day of music and discussion, journaling and quiet time, in a process developed over dozens of workshops and retreats... presented at a beautiful private home in Scottsdale this April for the first time. ​Space is extremely limited; this event will sell out. Watch for additional dates and locations across the U.S. coming soon. Every song. Every lyric. Every powerpoint. ​Every sheet music chart. Every instrumental track. Over 160 songs. 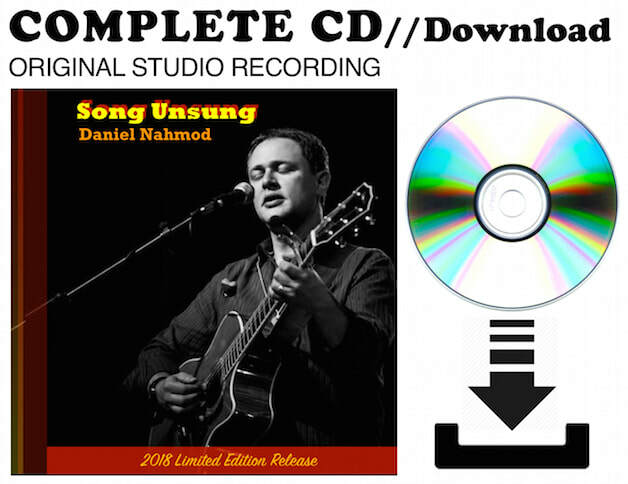 A limitless resource for the musician or ministry, in a beautiful gift box. Songs of Power and Perseverance. I Learn (And I Forget) / Turn It Around / and more! Announcing the 3rd Edition Flash Drive! Now with 12 Albums and 20 bonus tracks. 160 songs, over 11 hours of music! ​Over 110,000 CDs sold. Performances in 45 U.S. states for well over a million people. 10,000 songbooks in print. Licensing to American Idol, Super Bowl, Today Show, and Saturday Night Live. Songs sung by artists around the world. 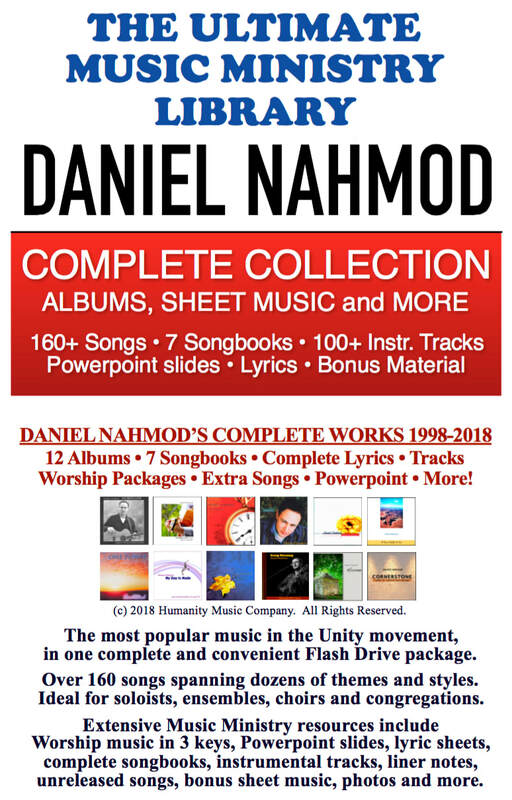 Daniel Nahmod is one of the most successful and beloved independent songwriters, artists and producers working in America today. Sign Up for Daniel's Monthly e-Newsletter! Be the first to hear about new music, free stuff, the latest news, upcoming events, and special sales! You may unsubscribe at any time via the link found on every email. Happy Holidays! 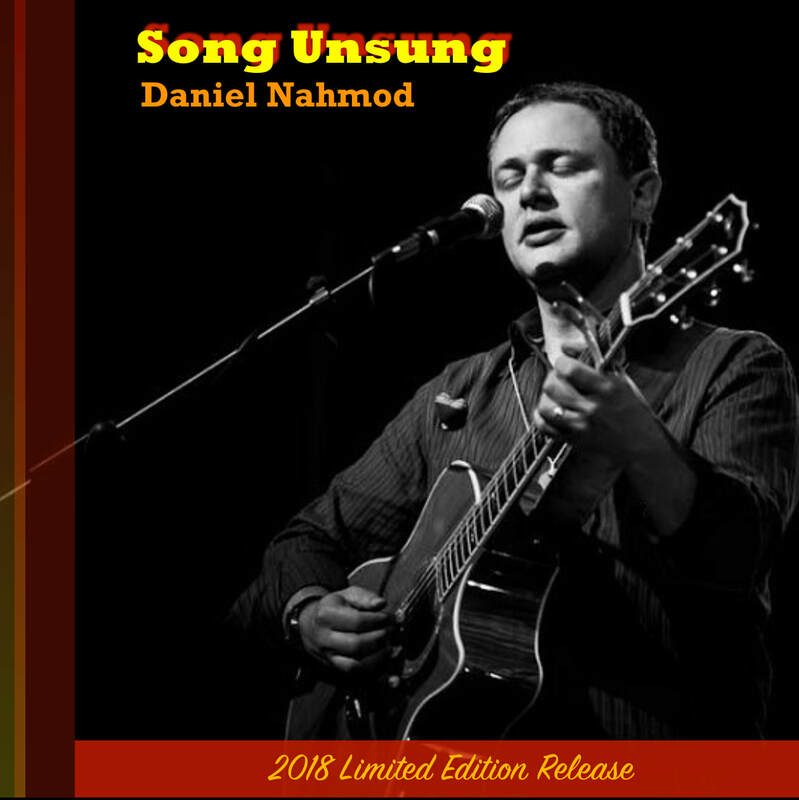 I'm so excited to release my new 7-song CD "Song Unsung," in CD and Download. These are cool songs (if I do say so myself); I'm on tour all summer and fall debuting this new material, and it's fun and intense. They're really all about claiming my power, about sticking with a dream, about outlasting and overcoming all obstacles. I really think you're going to get a kick out of them. Speaking of downloads, all of my CDs and Songbooks, and the new EP, are now available on this website as digital downloads -- as are instrumental track CDs, the Just Begun 12-album collection, and songbook and worship packages. Digital downloads are a quadruple threat - save money on the music, save money on the postage, eliminate paper and plastic, and receive your music instantly! I hope you enjoy your visit here. This website has lots of goodies. Check out the Extras page for bonus material, with free songs and videos, and the Lyrics page for complete lyrics from every CD. You'll also find 30-second samples of every song, easy Add-to-Cart ordering of my music, and more. And I'll be posting more extras in the coming months, so keep an eye out. PS Have you seen my new video with Nimo? Check out the link to the Left. Click on a CD cover to learn more.